The Philippine Stock Market is one of the world’s best performing investment markets in the world and yet very few Filipinos actually invest there. Is investing in stocks really like gambling? Is it too risky? Is this only for the wealthy? 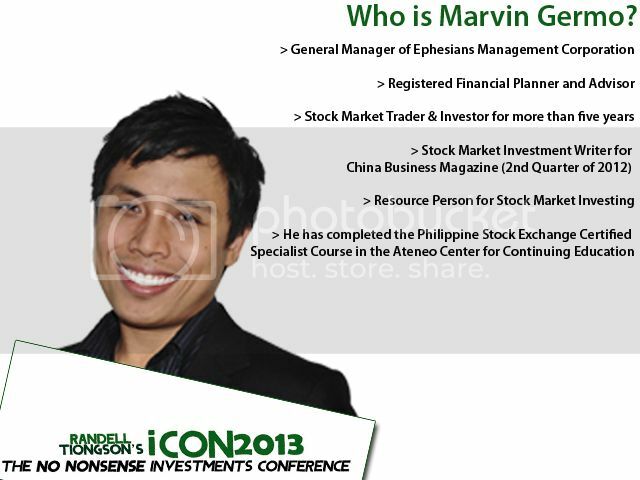 Marvin Germo will be discussing about Stock Market investing at the iCon 2013: The No Nonsense Investments Conference on June 22, 2013. Learn from one of the country’s most sought after stock market expert! Wow! This is great, I hope I can attend..